Sustainable Palm Oil This Halloween! 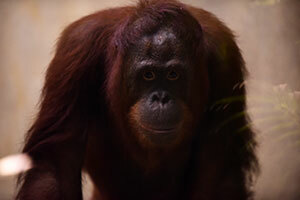 Orangutans are threatened by deforestation resulting from the harvesting of palm oil in Indonesia and Malaysia. Palm oil is found in many common products and snack foods that people consume every day. 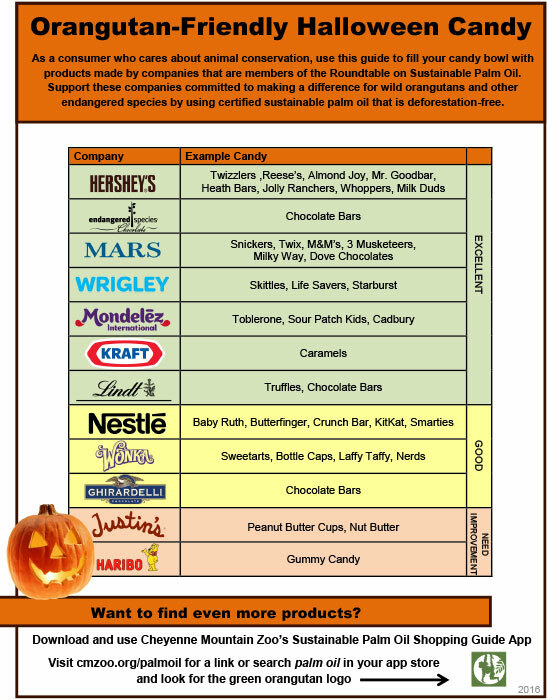 The Milwaukee County Zoo asks visitors this Halloween to support the many candy companies that participate in the Roundtable on Sustainable Palm Oil. We hope that getting to know Rayma and Tommy, the Zoo’s orangutans, will inspire our visitors to take action to help save orangutans in the wild. To learn more about the Roundtable on Sustainable Palm Oil, please click here.